Anyone get any cool things this year so far? My wife got me my first ever official full-sized Playmat! My kids got me about 20 backs. Pulled 5 Rares and some dice I needed for ASM so it was nice. My sister got me 4 packs of ASM which I pulled a rare MJ and rare Blink out of. Wasn't a lot and I already had those rares, but I was surprised she knew I was into the game. She also got me some comics. She did good. Well, definitely! I got some packs in my stocking (pulled some pretty neat cards; 2 rares in 6 packs, with some absolutely awesome uncommons I was looking for). Was really neat. The real treat, though, was finding out that my FLGS was doing a boxing day special that allowed me to get a ton and a half of singles for approximately 25% off. I got some great, GREAT cards out of this. I love it. 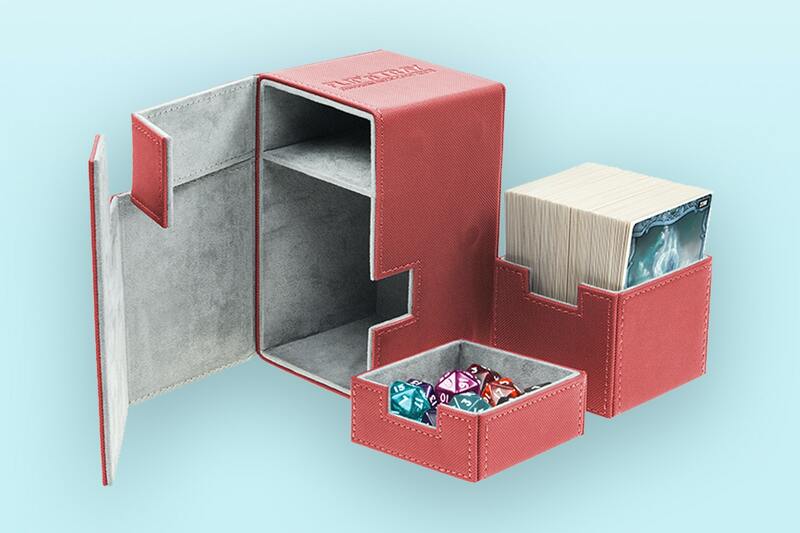 Fits 20 Character Dice, 8 Sidekick Dice, and 12 Basic Action Dice in the top. Cards and Dice Bag in the bottom. My first ever gravity feed. ASM!